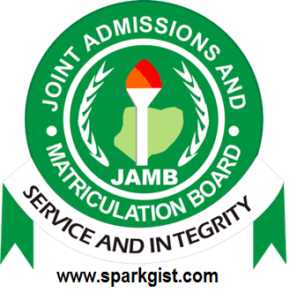 Are you looking for the tips on how to get a good JAMB or Post UTME grade/score? Do you want to know some expos to help you achieve this result? Are you tired of writing jamb examination and post utme admission screening exercise? Well have got your back on it…. One thing is to prepare and the other thing is to pass your exam…..
Do you know that you can score above 250 in this year’s jamb utme exam? I know you will be happy to see that you scored 250+ in your JAMB exam and post utme admission screening exercise 2019. As impossible as it may, many intelligent students you know keep writing JAMB exam and post utme admission screening exercise yearly without gain admission or not scoring well. It’s not because they don’t know or dull but because they have got heard/ready what is about to be unveiled in this article. SET GOAL- Most Jamb candidates and post utme candidates only have in mind of scoring the average minimum score (180 as the case maybe). Set a target to get 300 and above in mind and then work towards it and you will hit that score. BELIEF- Do you believe in your ability to pass your exam? It is important you have a positive attitude always; many persons failed JAMB or post utme because they never believed they can be successful in the exam. So say they fail because it is CBT exam, while others say it is paper and pencil. Start today to believe in yourself that you can score high. SELF ESTEEM- It is easy to lose your self-esteem than building when you are faced with some certain challenges, for instead, studying hard for an exam and then you overhear others talking about a particular topic and you become scared that you have not ready the topic and it looks like you are not yet prepared. This feeling will stir a negative effect on your JAMB 2019 or Post Utme screening exercise performance. Instead of doubting ability, read more and discuss with others, that way you won’t miss any information. STUDY SMART-Use a study pattern the best suit you. Do not compare your studying with others. Try to know the studying method that helps you study and retain information. If you are a good listener, you might try listening more to your friends in group discussions, if you are a slow learner, you might as well try reading and attempting past questions this would help you remember all that you have studied during the exam. NEGATIVE ATTITUDE TOWARDS OTHERS- You must clear your mind of any distractions such as gossiping, envy, malice etc among your friends, whether you agree or not this has a way of affecting your brain performance in the exam. OVERCOME FEAR- Most students already have it in mind that they have failed an exam because of fear. FEAR simply means F=False E= Evidence A=Against R= Reality. This means you are afraid of something that is not real. You are afraid of failing when you have not written the exam or when the date for the exam is about to approach. Remove fear from your mind and you will excel. Study and prepare and take away FEAR. You can do it. PRAY TO GOD- Despite all your tricks, studying, and preparations if you don’t put God you will still fail. Always pray to God before studying, or before you commence your examination and trust me you will excel. 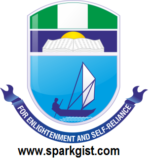 In summary keep visiting SPARK GIST, to get more information via. We are here to see that you succeed and achieve your goals in life.